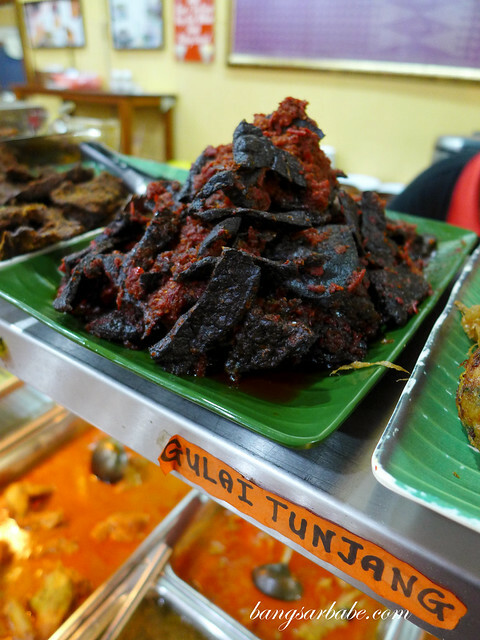 Since my work travels to Jakarta, I’ve been on a lookout for good Nasi Padang in Klang Valley. I like the idea of having many small plates of food lined up in front of you as this gives me a visual feast, before I tuck into the food. 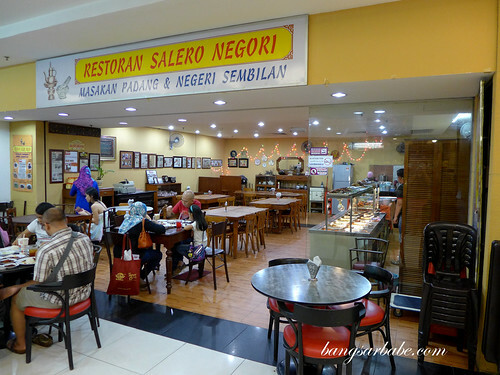 Unfortunately, nasi padang isn’t sold this way in KL – we tried the food at Salero Negori in Amcorp Mall, where you choose the dishes you want at the counter and they will then send them to your table. 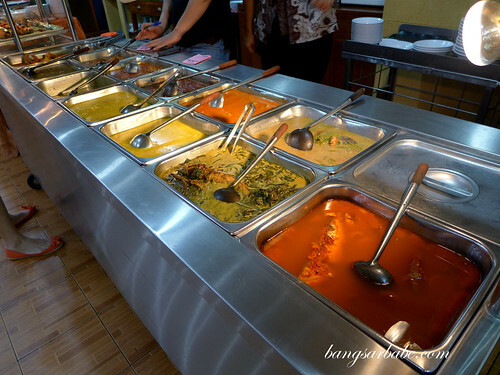 It works for those who prefer to choose their dishes up front but I find this missing the nasi padang appeal. 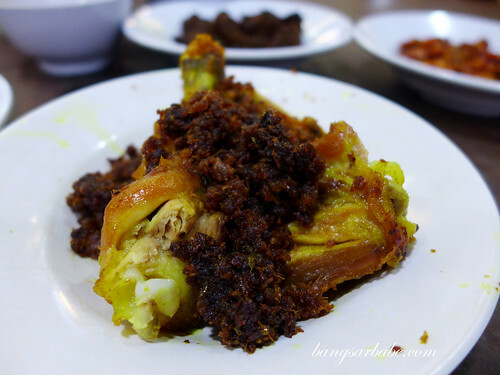 We tucked into the ayam kampung goreng, daging dendeng, gulai tunjang, tempe goreng, sambal terung and ikan keli. 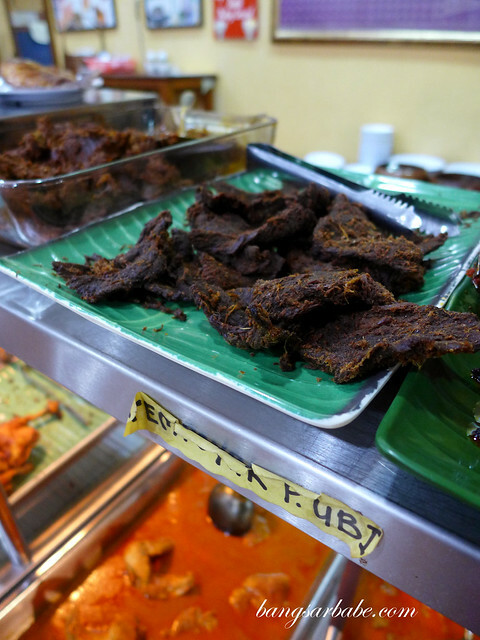 Of the lot, my favourites were the gulai tunjang (beef tendon curry) and sambal terung (brinjal). 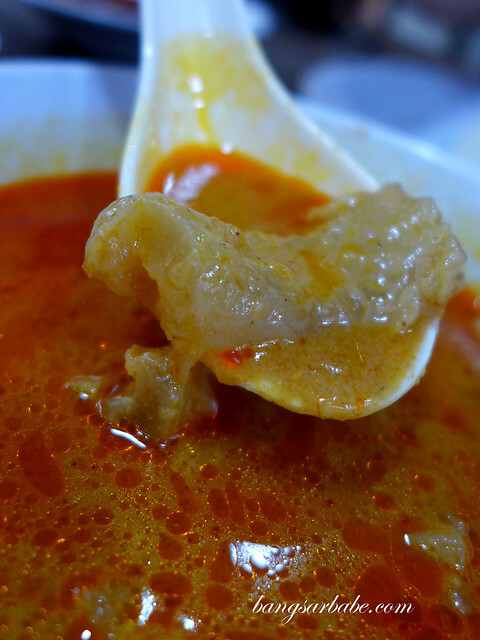 The tendon was cooked till tender, while the curry was adequately thick and flavourful. 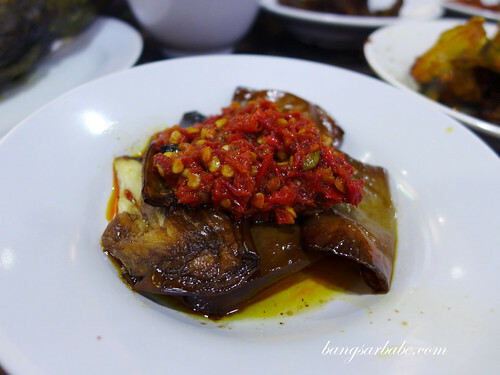 I liked that they were generous with the sambal in the brinjal – this added oomph to the dish. 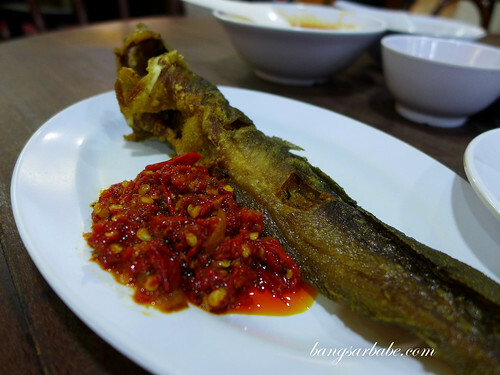 Also noteworthy was the fried ikan keli (catfish), served with a dollop of sambal. 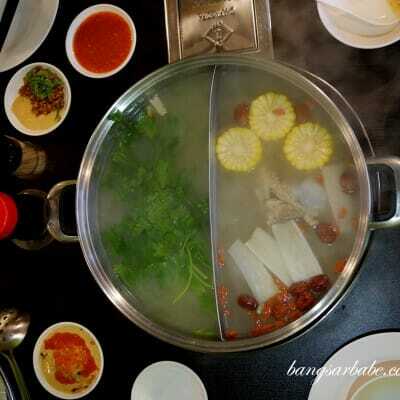 Be careful of the bones when eating this, but it is worth the effort. 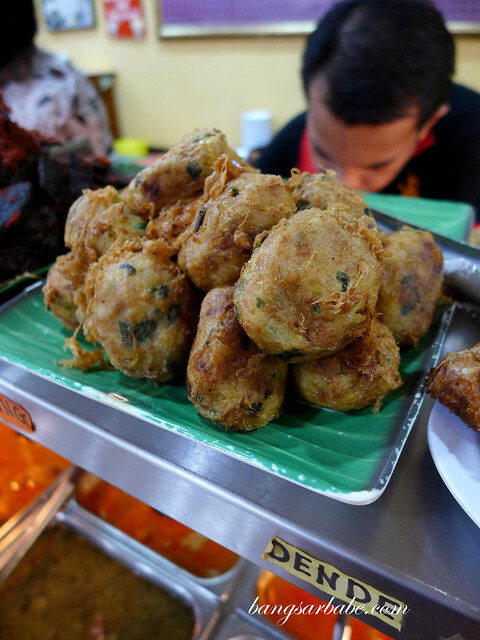 The ayam kampong goreng comes with kerisik (fried shredded coconut) which added flavour to the meat. Decent, but hardly memorable. 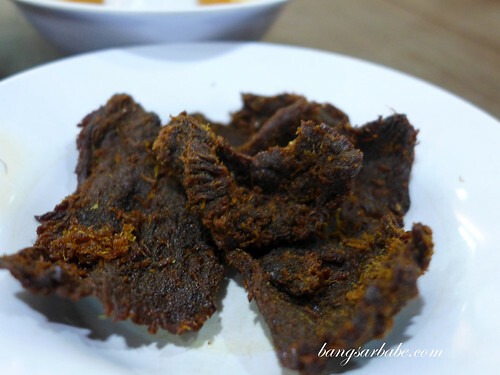 The daging dendeng – a form of beef jerky, Minang style – was a tad chewy for my liking. I expected it to be crispier. 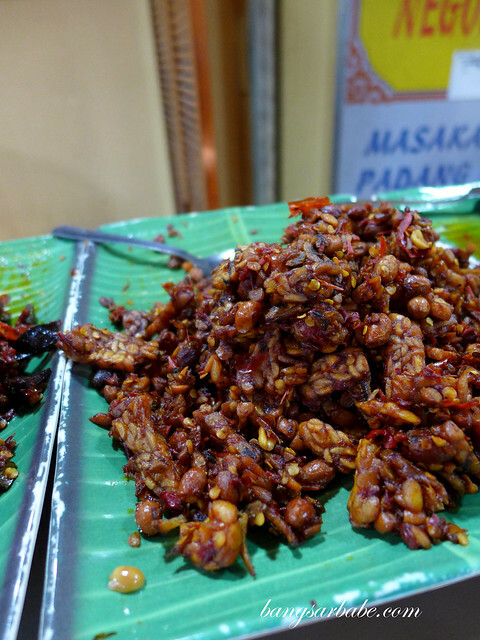 Tempe goreng comes with plenty of peanuts and ikan bilis for crunch. 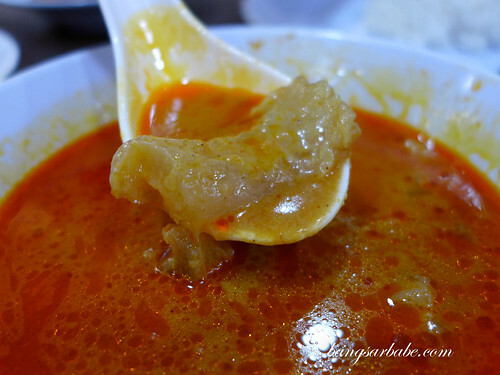 This was one of the better versions I’ve tried; not overly oily yet spicy enough to send tingles to the tongue. Our bill came up to about RM30 for the above inclusive of two drinks. Pretty reasonable considering the amount we took. At least I know where to go for reasonable nasi padang when the craving hits. Verdict: Moderate selection of dishes but the food is pretty good. 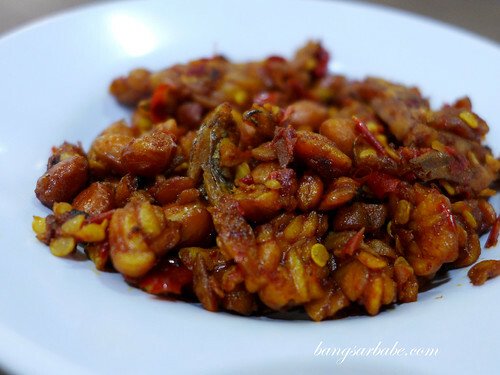 Tried Sari Ratu before and I wasn’t impressed. It was also very expensive.